Young Thug got chauffeured around Hollywood like a big shot this summer, but stiffed the limo company like a bum … according to a new lawsuit. Hollywood Stars Limousine just filed suit against the Atlanta rapper for allegedly skipping out on a fat bill for rides they say they gave him … to the tune of $18,676. In the docs — obtained by TMZ — Hollywood Stars claims they drove Young Thug and some of his guests around for a total of 11 times this year — with 10 of those happening in June. 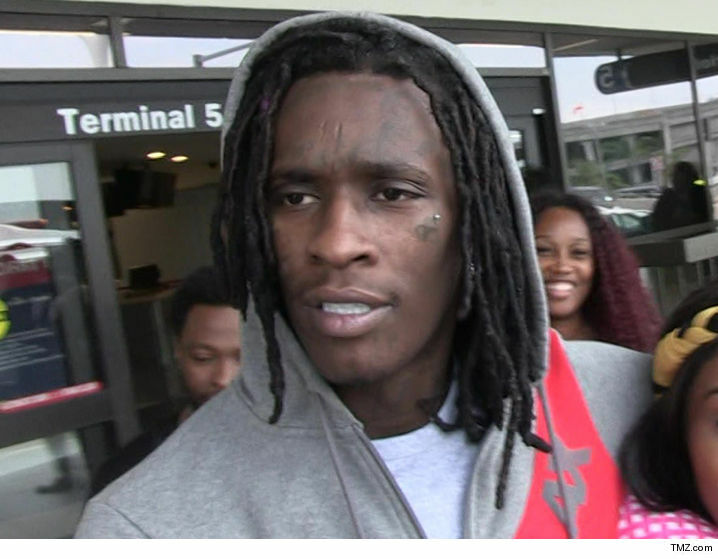 The company says they gave Thug plenty of time to pay, but claims he told ’em to kick rocks. Now, Hollywood Stars wants a judge to make him pay back their dough in full. It’s funny … Young Thug just got arrested last week for ducking a court date on a window tinting offense. Looks like he might be screwed from the other side of the glass too.